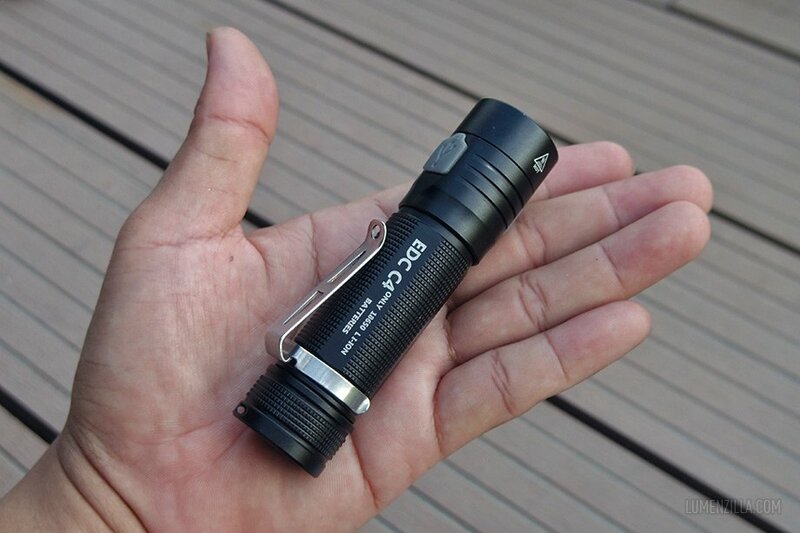 Dear readers, please welcome an EDC flashlight with unique feature that I haven’t seen on any other flashlights before: Folomov EDC C4. 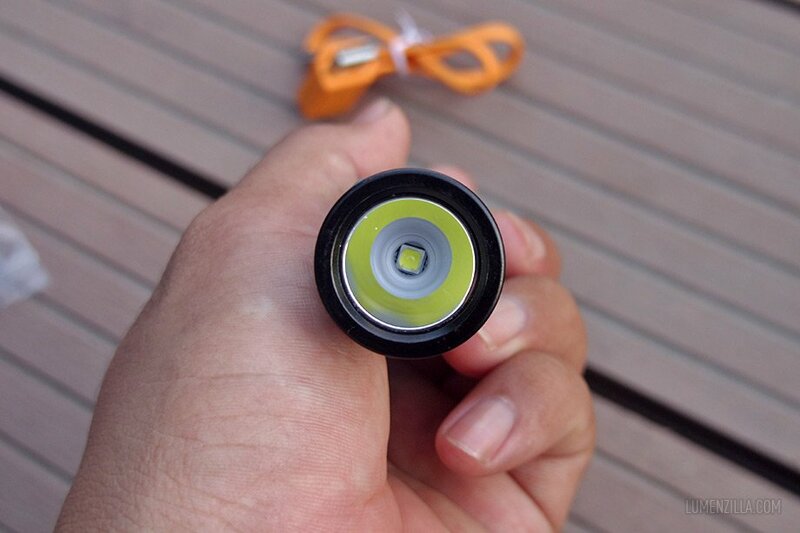 Folomov is a brand new flashlight manufacturer from China with various products ranging from flashlights, headlamps, and battery charger that displayed nicely on their website. I was quite lucky to receive a free sample of EDC C4 model for reviewing purpose. 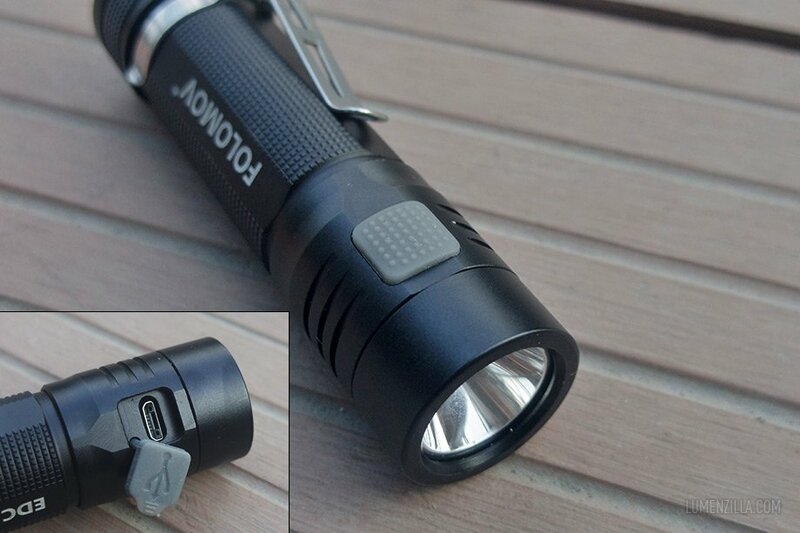 Folomov EDC C4 is a short (10 cm) EDC flashlight powered by single 18650 with 1200 lumens on its maximum output. 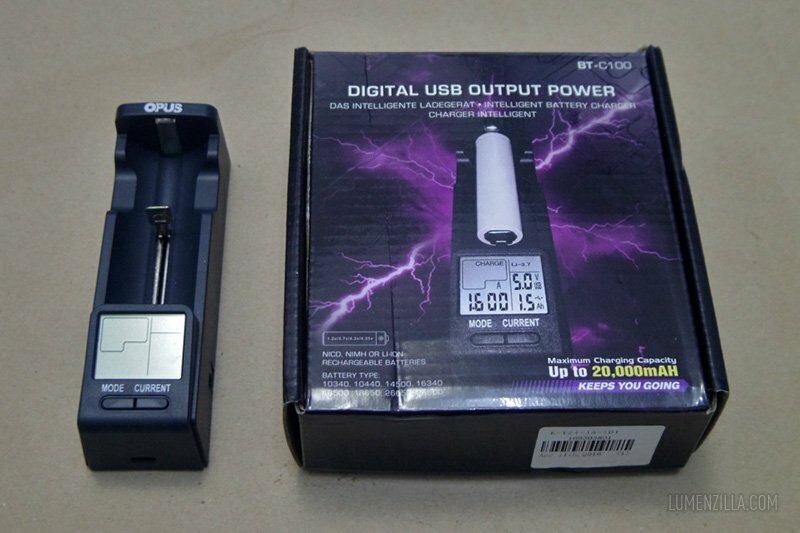 It has a micro USB port on its body that can be used for charging the battery as well as charging another electronic devices using its battery. Yes, it’s also a power bank. The body is made from a solid black anodized aluminium with glossy finish. It has square knurlings around the body and some shallow fins around the head part. 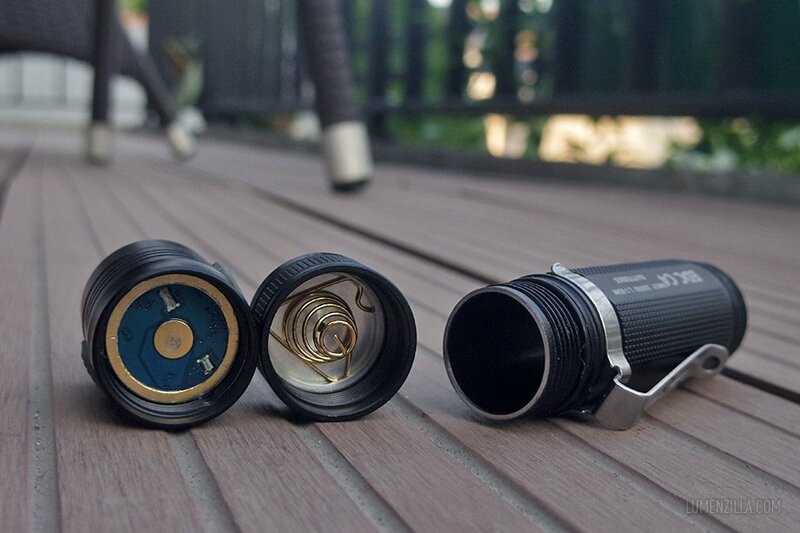 It has detachable pocket clip made from stainless steel. The tail is flat and no magnet attached. The host “wall” is pretty thick but light enough (50 grams), springs and contacts also looking great with gold plated materials. On one side, electronic switch is installed with square rubber cover and a micro USB port is on the other side. 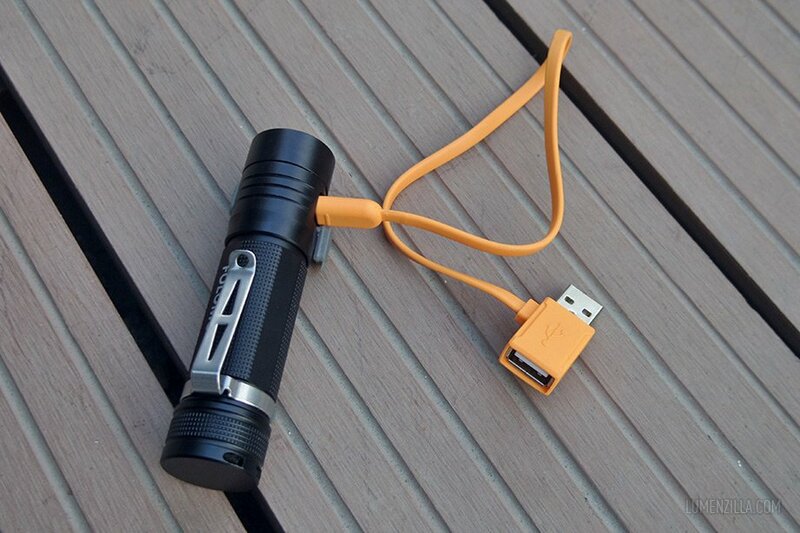 The micro USB port has two functions: It can be used either for charging the flashlight using external power source or used to charge other gadgets using included specifically designed cable. 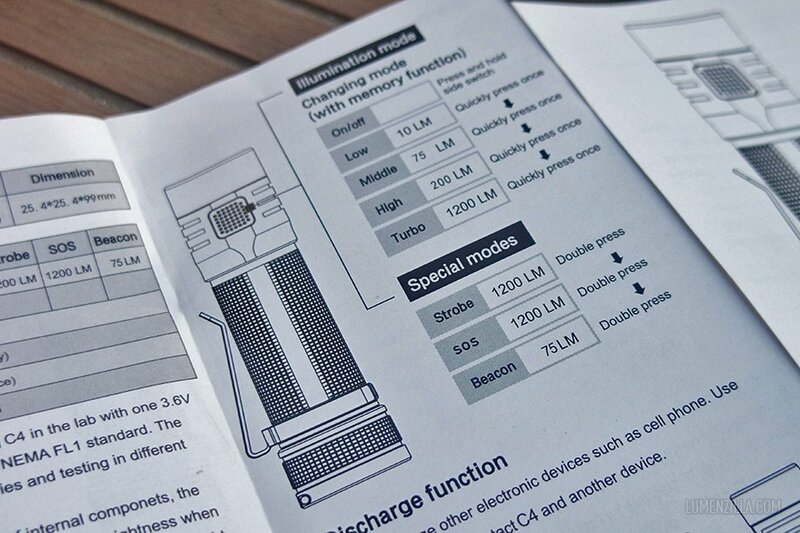 Unfortunately we will need another micro USB cable for charging the gadget. To use it as power bank, plug the male USB into the female part of this yellow cable. 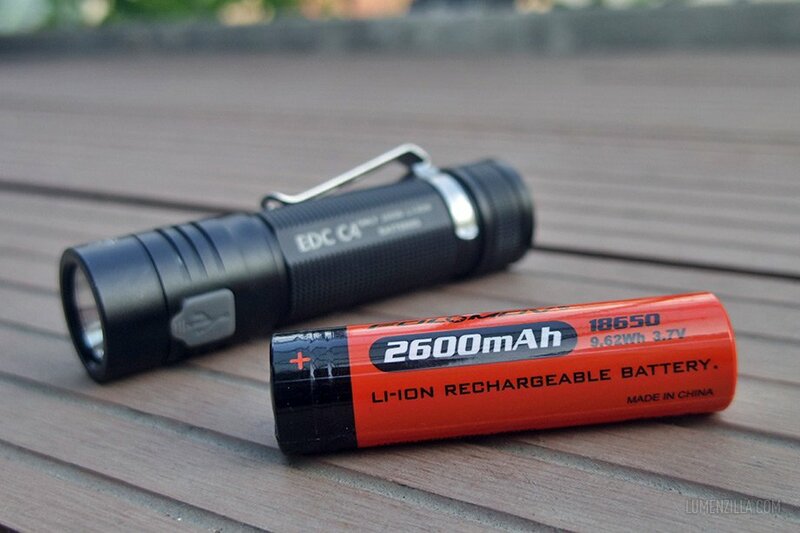 Included 18650 lithium-ion battery will give juice to our gadget for around 30-60 minutes which is sufficient for emergency usage. 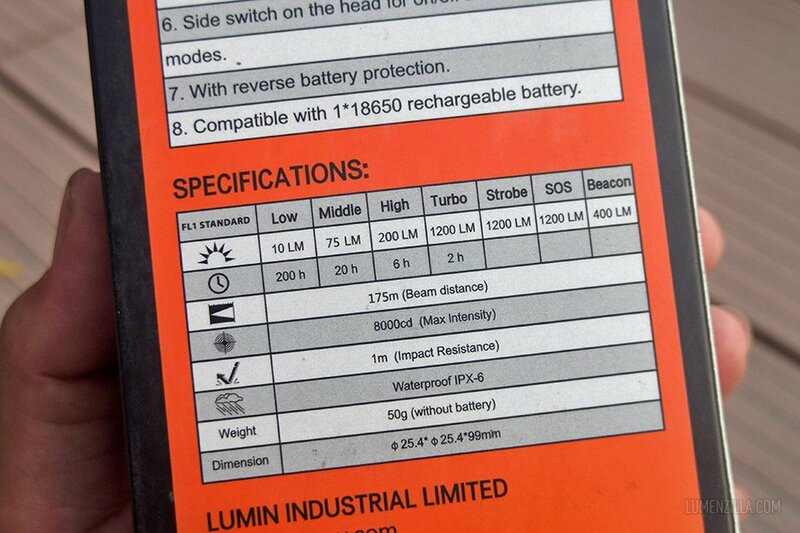 For the emitter, Folomov EDC C4 utilises CREE XP-L V6 LED, colour temperature is around 6000-6500 Kelvin. A smooth reflector is installed around the emitter which helps the beam to reach 175 meters distance (by specification). A minor thing about the build is the side switch is not perfectly aligned to the knurlings on the body. It will not affect the performance at all but some people may find it upsetting. Operating Folomov EDC C4 is easy and straight forward. Long press its side switch to turn on the light and short press for changing modes from Low – Mid – High – Turbo. Here’s the caveat, from Turbo mode we can’t get back to Low mode directly. Instead, it will go in reverse order Turbo – High – Mid – Low. So here’s the sequence: Low – Med – High – Turbo – High – Med – Low. Also no shortcut to go directly to Turbo or Low mode. 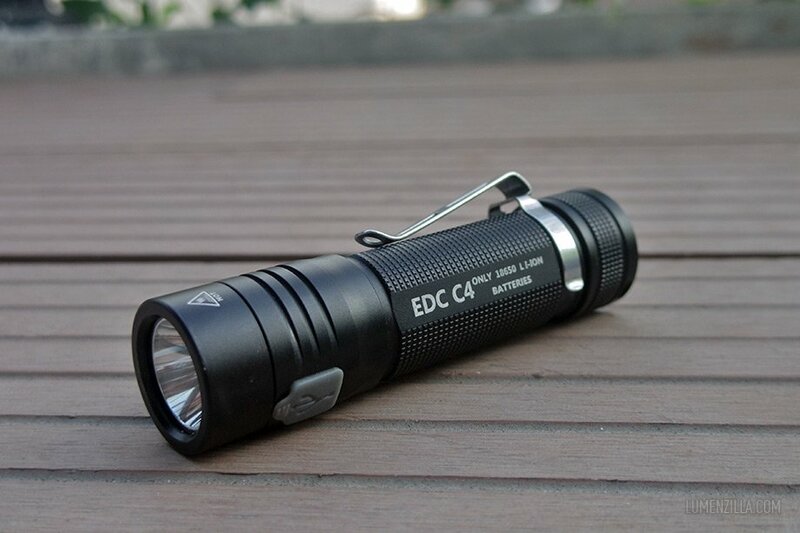 Folomov EDC C4 also has three special mode. From off, quickly press the switch twice and it will go to Strobe mode. Press twice again and it will call SOS mode. Another double press will activate Beacon mode. 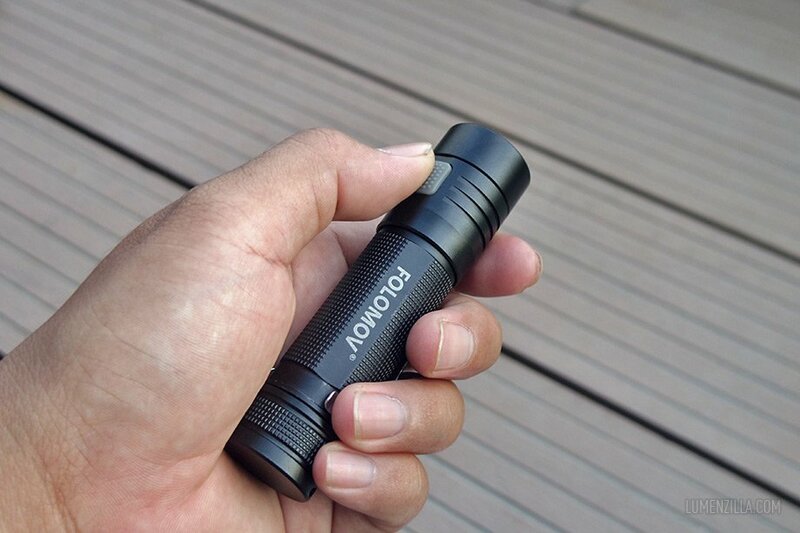 Folomov EDC C4 is a suitable flashlight for EDC with unique power bank feature. Small form factor makes it easy to carry and power bank feature is a winner.